I am loving the color of these beautiful eggs. Can you believe they were colored with Kool Aid? 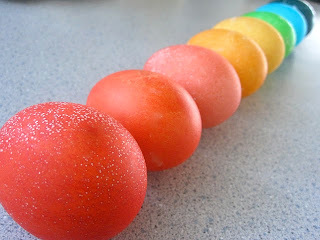 heyjenrenee has a colorful tutorial on how different flavors of Kool Aid will color your Easter Eggs in a variety of shades. If you would like to try something different this year, go to heyjenrenee.com here.